Athletes will all climb in three different formats. Speed, where they go head to head up a 15m wall in a knockout format. Bouldering, which involves creative gymnastic climbs without ropes, a short distance from the ground. And lead climbing, where they climb to extreme heights on a man-made structure. The winner in lead climbing is either the first to the top, or the one who gets to the highest point before falling. All formats will take place indoors on purpose-built walls. This format has received some criticism, because climbers usually specialise in only one of the disciplines. It has been likened to asking Usain Bolt to run a marathon. Czech climber, Adam Ondra – the only man in history to win both lead and bouldering World Cups in the same year – has threatened to boycott the Games, as he believes speed events are artificial. 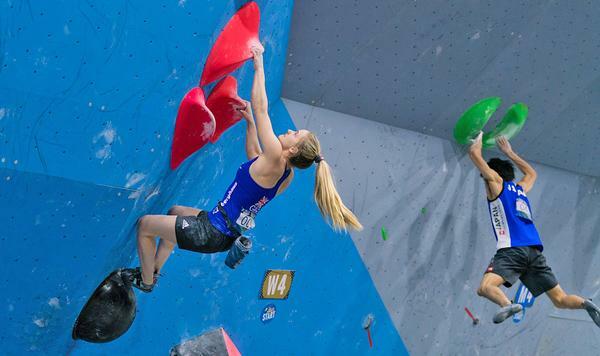 However, the UK’s top female climber, Shauna Coxsey, a double bouldering World Cup champion, has got behind the decision, saying it will make her a better athlete. Other critics have railed against this anti-establishment sport being taken mainstream, saying it will destroy the art of each discipline and that rules will overregulate a sport that thrives on freedom of expression. 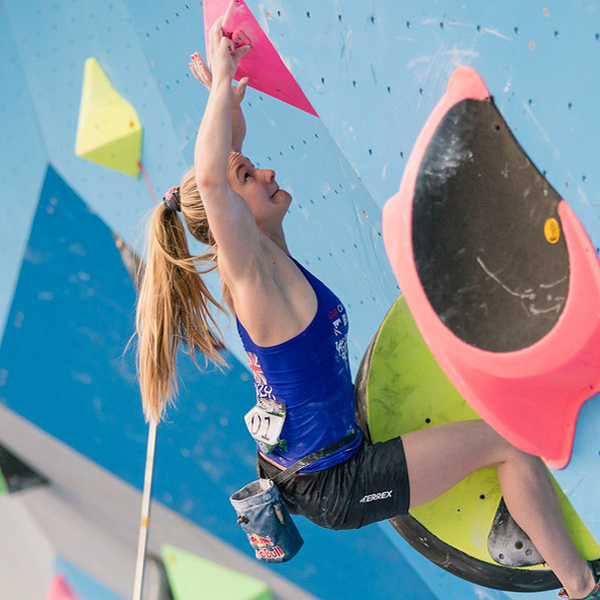 However, the majority of the climbing community has welcomed the extra profile the Olympics will give climbing and say the proposed format will make for an exciting competition, which will engage young people, be telegenic and boost participation. Assuming the Olympics do spark widespread interest in climbing, how easy will it be for interested people to take up the sport? Levey says the sport is very accessible, with an estimated 200-250 climbing walls in the UK alone, while the IFSC estimates people have access to climbing walls in more than 150 countries. He adds that climbing has good synergy with activities like yoga and swimming, so the crossover benefits could be promoted. Additionally, climbing is a fundamental movement, which means practising it could benefit children as they develop their physical literacy. As a new sport, however, climbing still struggles with funding. Levey says it has the same number of participants as sailing, but while sailing receives £363 per head in funding, climbing shares just £18 a head with ski mountaineering, hill walking and mountaineering. 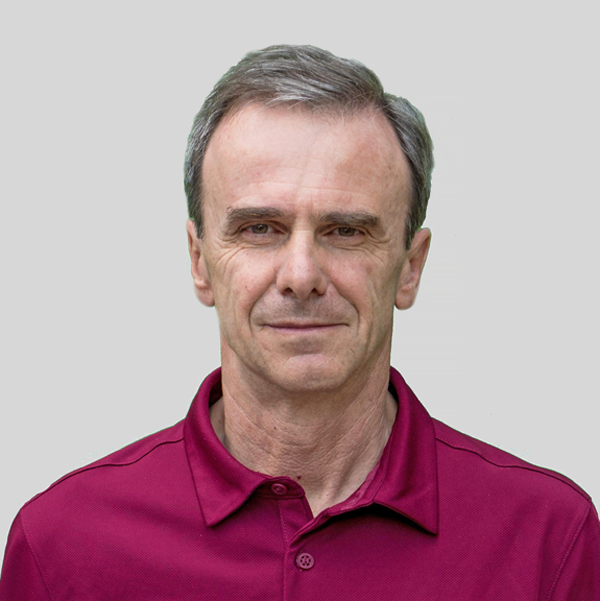 He concedes the sport needs to pull together to start lobbying for funding and better promote itself. Despite this, there’s plenty to be optimistic about. Those involved say it’s an addictive sport, with good retention. 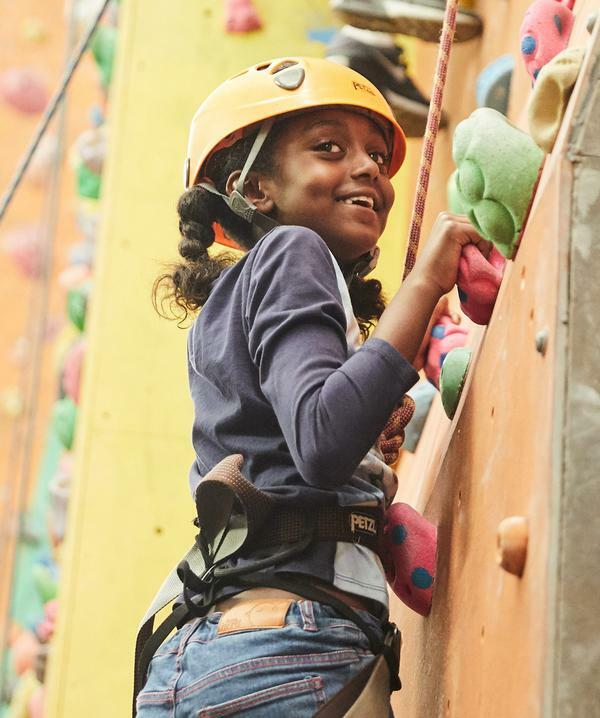 ABC estimates there’s a 50/50 gender split among children in the UK, and that one million people currently climb in the UK, with 70 per cent only climbing indoors and some even climbing five days a week. As 2020 nears, it will be interesting to watch progress. Competitions are held indoors on three types of wall: lead, speed, and bouldering. Usually athletes specialise in one, but at the 2020 Olympics they will have to compete in all three. Lead climbing requires endurance and strategy. Athletes secured by a rope climb up an overhanging wall with a 6-minute time limit; the one who gets the highest wins. 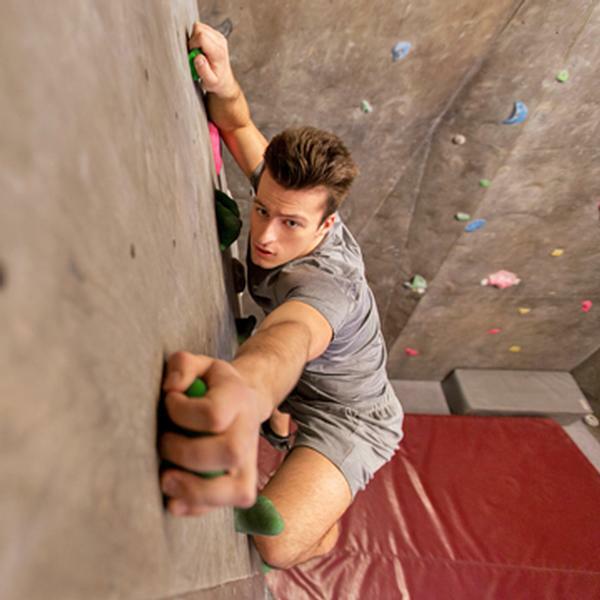 Speed climbing is usually done on vertical walls up to 15 metres high, with two climbers climbing next to each other in a race to the top, which is usually reached in under 6 seconds! Bouldering requires power and technique, with athletes performing explosive, spectacular movements up to a height of four metres. If they fall they land on safety mats. The winner is the athlete who climbs the hardest route in the fewest attempts. • Statistics according to global research from IFSC. Tapping says climbing appeals to a wider demographic than some other sports and is appealing to women, with a 50/50 gender split. 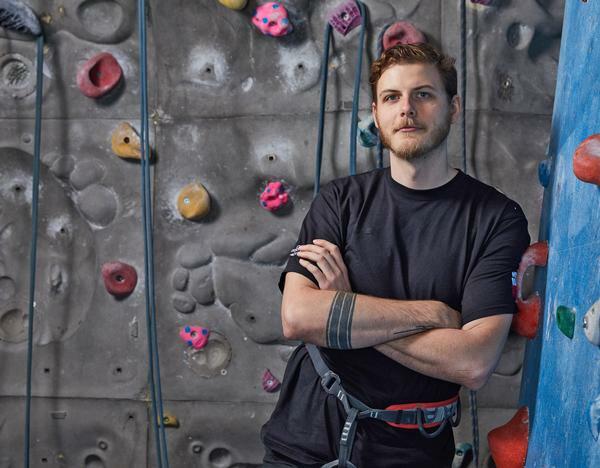 “We have climbers of all ages, but it’s most popular with 25- to 35-year-olds,” he says. The climbing centre is always busy. Westway welcomes 500 school children a week through its nationally-recognised coaching programme, and also runs introductory courses for adults. Once people have completed a course they can pay to climb casually. 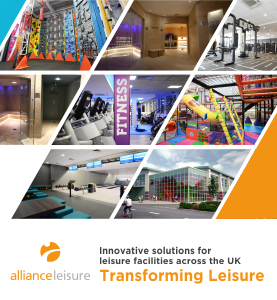 There are also club nights, technical workshops and an exercise class, Bouldercise. 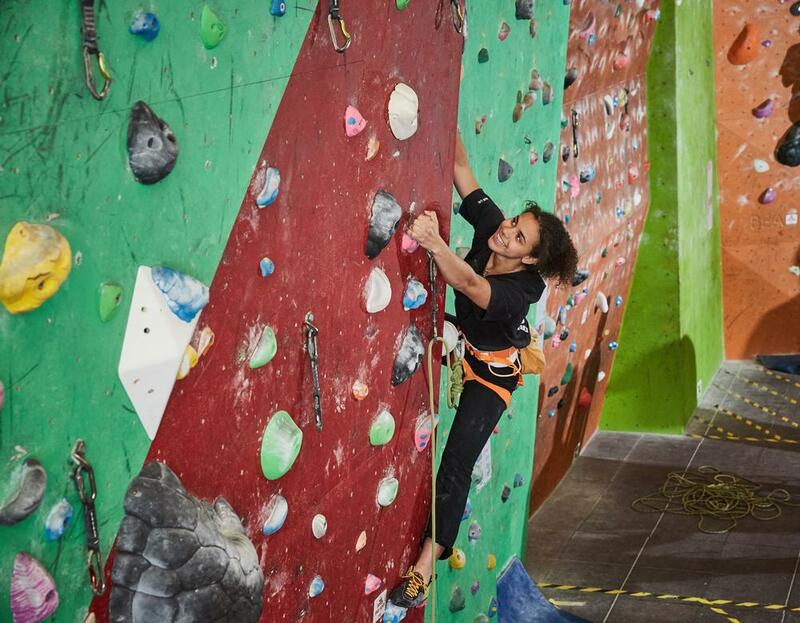 Tapping says climbing fits in well with the club’s offering, as the climbers also use the gym and yoga and pilates classes to support their sport. “Climbing has been a fairly anti-establishment sport, until the last 10 years, but indoor climbing walls have created a new audience for the sport,” says Tapping. “Some people who learn to climb with us progress to take part in competitions or outdoor climbing, but high numbers stay indoors and use it as a good way of keeping fit. Tapping welcomes the inclusion of climbing in the Olympics, saying it will give great coverage to an already popular and fast growing sport, and predicts it will continue to go from strength to strength. Read more: Sports Management November/December 2017, p44.